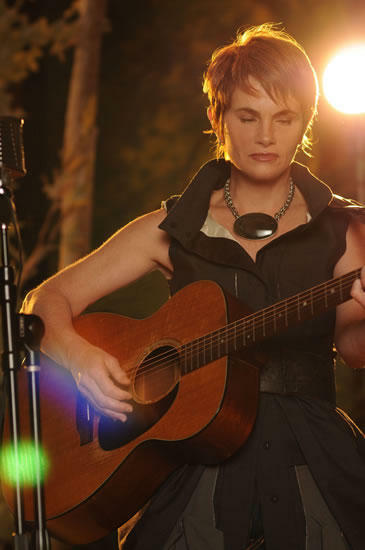 They may have been compatriots, musical companions and acquaintances for close on thirty years but it is only recently that Shawn Colvin and Mary Chapin Carpenter have taken a step further and combined their talents in a live performance setting. With so much synergy between their styles, and a healthy following this side of the Atlantic, it is of little surprise that this inaugural collaboration is proving a popular appeal to the UK fan base of American acoustic singer-songwriters. This short tour is bringing their ‘An Acoustic Evening with …’ to some of the nation’s established and elaborate venues with the splendid Birmingham Symphony Hall hosting a show in this evolving theatre of modernity. At the conclusion of a near two-hour deliverance of old, borrowed and new songs the mutual effect of humble gratification circulated around the ‘close to sell-out’ hall. The striking comparisons are evident in how these two highly acclaimed artists have crafted a vast catalogue of songs that have flittered around the edges of the country and folk music scene as well as the occasional flirtation with mainstream pop. Yet contrasts do exist in the tone of their vocal deliveries in addition to the more polished guitar sound from Carpenter when compared to the edgy and rawer vibes coming from Colvin’s frequently tuned string accompaniment. The egalitarian approach to song selection gave the audience the perfect opportunity to enjoy the contrasts and the healthy applause indicated an evenly distributed praise, although Carpenter probably has the more recent higher profile especially after a successful UK tour a couple of years ago. Both artists have recently been proactive in the studio and took full opportunity to promote some of this new material for the first time. Highlights from Colvin’s latest release titled ALL FALL DOWN, an album featuring all the hallmark of its producer Buddy Miller, were the title track and ‘Change is on the Way’. As usual with a Mary Chapin Carpenter release, the moods and personality of the originator is stamped all over the offering and during the evening the audience had the pleasure of listening to ‘Transcendental Reunion’, ‘What To Keep and What To Throw Away’ and ‘Chasing What’s Already Gone’ from her summer release ASHES AND ROSES. New songs are the life blood of a progressive singer-songwriter and, while nostalgia can have its appeal, it’s important such shows don’t descend into clichéd retro-events. While on the topic of nostalgia, both artists were highly selective on choices from their back catalogue. 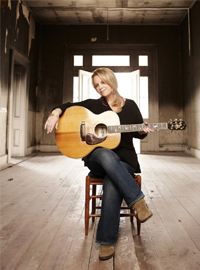 Mary Chapin Carpenter opted for popular numbers ‘This Shirt’ and ‘The Hard Way’, while Shawn Colvin particularly impressed with ‘Round of Blues’ and the requested song ‘One Cool Remove’ which was delivered as a duet in the lengthy encore. Apart from the carefully staged solo performances of their songs, the duo occasionally paired up to provide harmonies or straight-up duets. Possibly due to the fairly newness of this venture, not all of these were perfectly synchronised and, to be a little critical, the solo slots outperformed the combined collaborations. This minor criticism could also be extended to the inter-song banter which, while probably sincere, was a touch inconsequential and lacked a little insight. Although Colvin shed some interesting light on her past experiences of playing a supporting slot while on tour with Sting many years ago. This leads us conveniently onto the duo’s numerous interpretations of some of their favourite singer-songwriter material. Paul Simon’s ‘Only Living Boy in New York’ and ‘Someday’ by Steve Earle represented the States. Neil Finn’s ‘Four Seasons in One Day’ was a selection from down under while, in preparation for an upcoming Liverpool date, a sublime version of the Beatles’ ‘I’ll Be Back’ entertained the audience. The ladies left their best cover until last when they revisited their Nashville influence with an enjoyable version of Merle Haggard’s ‘That’s the Way Love Goes’. A rousing end to a brave venture that may or may not be repeated but did give a rare opportunity for fans to enjoy the talents of Mary Chapin Carpenter and Shawn Colvin on a single stage on one evening.